Section I: To participate in God’s mission through the variousexpressions of the Christian Church (Disciples of Christ) in the United States and Canada. Section II: To contribute to the wholeness and unity of the Christian Church (Disciples of Christ) in the United States and Canada. Section III: To advocate for Pacific/Asian Disciples within and outside the Christian Church (Disciples of Christ) in the United States and Canada. Section IV: To sharethe gifts and traditions of Pacific/Asian Disciples with the wider church. Membership in the North American Pacific/Asian Disciples is granted to members of NAPAD congregations, to Pacific/Asian Disciples whose congregations are not affiliated with the NAPAD, and to non-Pacific/Asian Disciples who have express and abiding affinity for the NAPAD. A. Membership of the Board of Directors. 1) The Board will consist of fourteen directors. In forming the Board of Directors,the NAPAD will seek to be inclusive, ensuring representation of men, women, youth, young adults, senior adults, clergy,laity, geography, and ethnicities. At least one director must be from a numerically small ethnic group within the NAPAD. 2) The elected directors will consist of Moderator, Moderator-Elect, Secretary/Treasurer, and five Directors-at-Large. 3) The Representative to the General Board will be appointed by the Board of Directors. 4) The Representative from the General Ministries will be nominated by the Council of General Ministries of the Christian Church (Disciples of Christ) to serve as a board member and confirmed by the NAPAD Board. 5) The Representative from the Regional Ministries will be nominated by the College of Regional Ministers of the Christian Church (Disciples of Christ) to serve as a board member and confirmed by the NAPAD Board. 6) The Immediate Past Moderator and the Executive Pastor of the NAPAD will serve as ex-officio members. 7) The General Minister and President serves as an ex-officio member of the church without vote. 1) The term of office for each director—except for the director elected as Representative to the General Board— will be two years and will commence at the conclusionof thebiennial Convocation where he or she is elected. Each director—except the director who is on the moderator track, the director elected as Representative to the General Board, and the director elected to fill a vacancy as specified in Section IV of this Article— may serve up to two consecutive terms, for a total of four years. A director who has served two consecutive terms or a director who has completed the moderator track or a director who has completed a term as the Representative to the General Board will not be eligible for re-election to the NAPAD Board of Directors until one biennium has elapsed. The terms of service will be staggered to ensure smooth transition. 2) The moderator track is defined as the succession of offices from Moderator-Elect, to Moderator, to Immediate Past Moderator. The director who is on this track may serve no more than two years on each of the positions on the track and no more than six years in total. A director who has served only one term on the Board is eligible to serve as Moderator-Elect. 3) The Representative to the General Board of the Christian Church (Disciples of Christ) will serve a single four-year term. A quorum for plenary meetings of the Board of Directors will be seven members, one of them being the Moderator or Moderator-Elect. The Board of Directors will meet at least once each year. A. Collaborate with the Executive Pastor to develop program priorities and strategies. C. Act on behalf of the biennial Convocation between the Convocations. D. Be responsible for the selection, employment, and dismissal of the Executive Pastor. E. Advise and assist the Executive Pastor regarding program development and implementation—including planning the biennial Convocation, specifically determining the time and place to hold the Convocation. 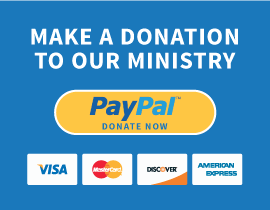 F. Nominate or appoint Pacific/Asian Disciples to various board memberships of the General Ministries and Regional Ministries of the Christian Church (Disciples of Christ). G. Be accountable for the NAPAD ministries to the General Board of the Christian Church (Disciples of Christ). 1) Preside over meetings of the Convocation and the Board of Directors. 2) Represent the NAPAD at the boards and agencies of the Christian Church (Disciples of Christ) and other denominational and ecumenical organizations and gatherings. 3) Appoint chairpersons and members of committee(s) as needed. 4) Serve as an ex- officio member of the Board of Directors after his/her term expires. 1) In the absence or incapacity of the Moderator, perform all duties of the Moderator. 2) Chair the nominating committee. 3) Assume the office of Moderator at the end of his/her term. 1) Record the minutes of the meetings of the Board of Directors and distribute them before the subsequent meeting. 2) Be responsible for recording minutes of major meetings at the Convocation. 3) Review, verify, and report on financial records of the NAPAD as needed. 1) Represent the NAPAD at meetings of the General Board of the Christian Church (Disciples of Christ). 2) Report to the Board of Directors and the Convocation decisions of the General Board of the Christian Church (Disciples of Christ). The Directors-at-Large will serve as committee chairs for NAPAD program/mission areas such as youth, young adults, and women. Promote cooperation and mutual accountability between the NAPAD and the general ministries of the church. Promote cooperation and mutual accountability between the NAPAD and the regions of the Christian Church (Disciples of Christ). When a vacancy occurs the Moderator will, with approval from the Board of Directors, appoint a person to fulfill the remaining term. Such a person(s) shall serve the unexpired term of the vacancy and will be eligible for election up to two full terms. A. The Moderator will appoint a nominating committee to nominate new directors. B. The nominating committee will be composed of the Moderator-Elect and three other directors of the Board. The Moderator-Elect will chair the nominating committee. C. Persons nominated by the nominating committee must be confirmed by the Board of Directors before they can be presented to the biennial Convocation. D. Directors will be elected by the Convocation—except the Representative to the General Board of the Christian Church (Disciples of Christ), the Representative from the General Ministries of the Christian Church (Disciples of Christ), the Representative from the Regional Ministries of the Christian Church (Disciples of Christ), and the General Minister and President or his/her designee. The NAPAD, either via the Board of Directors or the biennial Convocation, will establish committees as needed to implement its ministries. Section VII. Expulsion of a Director from the Board. A director may be expelled from the Board for due cause upon the two-thirds vote of the Board. The Executive Pastor will be an ordained minister with standing in the Christian Church (Disciples of Christ). Upon consultation with the General Minister and President, the Executive Pastor will be elected and called to this ministry by the NAPAD Convocation upon nomination by a committee appointed by the Board of Directors, for a term of six years and may be reelected. The Executive Pastor will undergo a review of his or her performance every two years. The review will be conducted by a committee appointed by the Board. The Executive Pastor will be responsible to the NAPAD Board, the NAPAD Convocation, and the General Board of the Christian Church (Disciples of Christ) for providing comprehensive leadership that will enable the NAPAD to fulfill the purposes and affirmations stated in these Bylaws. The Executive Pastor will be responsible to the Board and the Convocation for successful implementation of NAPAD programs, including those related to the Convocation. Each year, the Executive Pastor will present an activity report to the NAPAD Board and the General Board of the Christian Church (Disciples of Christ). In addition, the Executive Pastor will present an activity report at each biennial Convocation of the NAPAD. Each year, the Executive Pastor will present a financial report that is consistent with the Generally Accepted Accounting Principles to the NAPAD Board and to the General Board of the Christian Church (Disciples of Christ). In addition, the Executive Pastor will present a financial report at each biennial Convocation of the NAPAD. The Executive Pastor will have the authority to hire and dismiss any employee of the NAPAD. The NAPAD Board of Directors has the power to dismiss the Executive Pastor in accordance with Board approved personnel policies. The Convocation will promote the purposes stated in Article II and be the final decision-making body of the NAPAD. The NAPAD will hold a biennial Convocation alternating with the General Assembly of the Christian Church (Disciples of Christ) in the United States and Canada, at a period and place determined by the Board of Directors of the NAPAD. To be eligible to vote at business meetings of the Convocation, persons must be at least eighteen years old, be able to meet membership criteria as specified in Article III, and be duly registered. A quorum for business meetings at the Convocation will be one-half plus one of all eligible voters. Non-members may participate in all gatherings at the Convocation. In business meetings, they may participate as observers without vote. The rules contained in the current edition of Robert’s Rules of Order Newly Revised will govern the NAPAD in all cases to which they are applicable and in which they are not inconsistent with these Bylaws and any special rules of order the NAPAD may adopt. These Bylaws may be amended by a two-thirds majority of the voting members at a biennial Convocation. A written notice of the proposed changes must be presented to the Board of Directors sixty days in advance of the upcoming Convocation. The same notice must be posted on the NAPAD website thirty days before the Convocation, and must be made available to NAPAD members in hard copy at the opening day of the Convocation.